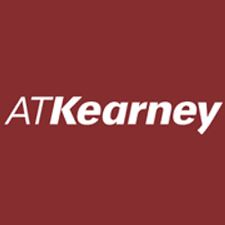 Capturing the evolving industry dynamics and key consumer insights that will drive the next phase of eCommerce, Google and A.T. Kearney released a report titled ‘Digital Retail 2020’. The report that combines insights from a comprehensive market research with A.T. Kearney’s market model, projects that e-tailing will become a substantial channel for the organised retail sector, contributing as much as 25 percent of the total organised retail sales in by 2020 and will reach $60 BN in gross merchandising value. The report predicts that the total number of online shoppers will grow to 175m by 2020 and one third of customers will drive two third of total online shopping spends. As per the report, value added service will be a key differentiator and over 90 percent of the online buyers will be willing to pay for premium value added services — over 46percent of online buyers said that they will be willing to pay extra charges for faster delivery; 37 percent for hassle free return and 35 percent were willing to pay more for extended warranty. Some of the other findings of the report include a 5X growth in number of women shoppers by 2020 and women currently shopping online will more than double their share of online spend. They are likely to spend more on lifestyle categories, namely apparel and accessories, and are looking for the latest trends and brands online. Women respondents also that they will increase their spends of online shopping if they can get more options for flexible delivery time, and more pick up locations so that they don’t have to divulge too many personal details. Lifestyle (apparels and accessories) as a category will overtake consumer electronics to become the largest online category by 2020 at 35percent of the total online spends. Consumer electronics will be at 20percent by 2020. New buyers will more likely start their online purchase journey with Lifestyle, followed by Consumer Electronics and existing buyers will spend more on Lifestyle driven by availability of latest designs. Niche categories like home (furniture and furnishing) and personal care will see high adoption due to assortment and convenience of purchase especially in Tier 2+ cities. Omni-channel presence will become very important in Home & Furnishings, Lifestyle and Consumer Electronics category to serve the need-gaps of non-buyers. In home and furnishing over 60percent buyers wanted physical stores to be able to see and test the product before buying. In lifestyle, 40% respondents said that offline stories will help in alterations of clothes and for consumer durables 60 percent buyers wanted salesman guidance for installing and using the product. By 2020, 55 percent of online volumes will be driven by cashless transactions (as opposed to ~40% today). Mobile wallet share will double by 2020 to reach 15 percent from current 8 percent. The base of online sellers will need to grow by 5X+ to cater to the increase in demand from users across geographies and improve delivery capabilities. E-tailing will drive 25% of retail sales in India by 2020 at $60BN – Google, AT Kearney Report 0 out of 5 based on 0 ratings. 0 user reviews.